Richly illustrated with biblical and Masonic illustrations, photographs, and ancient and modern paintings--many from rare archives--this book explores the Temple of Solomon in the Hebrew Scriptures, the New Testament, and Apocryphal writings as well as its role in the founding of Freemasonry, the legends of the Knights Templar, the doctrines of the Kabbalah, and Muhammad’s visionary journey from the Temple Mount through the heavens. 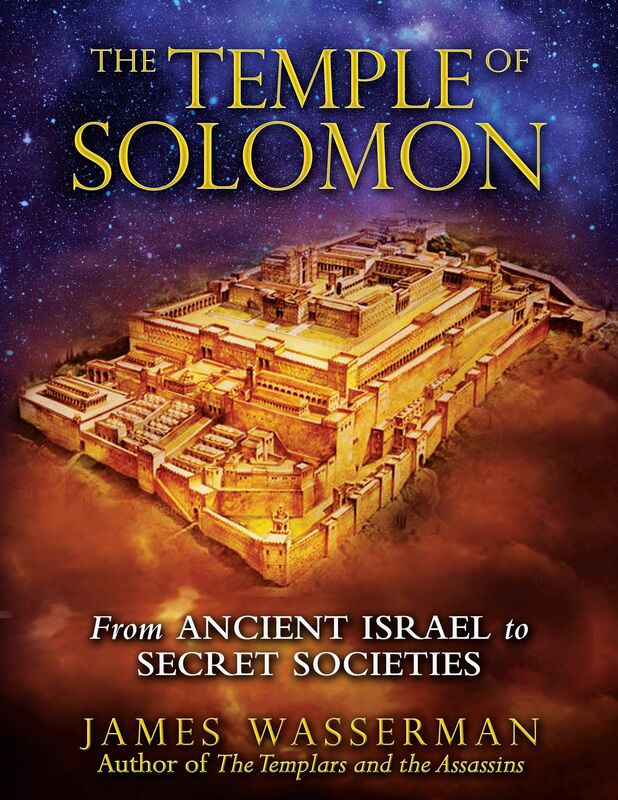 Seeking to understand the powerful desire of many religions and secret societies to re-create the temple through ritual and prayer, James Wasserman explains why it was built, the magical forces King Solomon may have used in its creation, what its destruction meant for Jews and Christians alike, and why the Knights Templar as well as several modern secret societies named their orders after it. Detailing the sacred architecture of this perfectly proportioned mystical edifice through words and art, the author reveals the Temple of Solomon as the affirmation of God’s presence in human affairs, the spiritual root of Western culture, and an important monument to the Divine nearly forgotten in today’s secular times but sorely needed to bridge the divide between our ancient past and our spiritual future. Untold aeons ago, a spark of light shot forth from the heavens to become the first speck of matter in that region of space now known as earth. From that minute particle--the Foundation Stone (even shetiyya)--grew our world. Three thousand years ago, that stone served as the base for the Temple of Solomon, later the Temple of Zerubbabel, and later still Herod’s Temple. Today it is enclosed by the Muslim shrine the Dome of the Rock. The Temple Mount, Mount Moriah, in Jerusalem is regarded as a holy place by the three great monotheistic faiths of the descendants of Abraham--Judaism, Christianity, and Islam. It was on Mount Moriah that God tested Abraham’s faith by commanding him to sacrifice his beloved son Isaac, and which He repeatedly sanctified throughout the Bible as His dwelling place on earth; here where Jesus spoke with the Rabbis as a child, later ejected the moneychangers, then preached his reformation of the severity of the monotheism of his forebears; and here, where six centuries later, Muhammad met with Moses and Jesus in a vision before ascending on his fiery steed through the heavens. There are traditions that identify the Temple Mount as the location of the Garden of Eden. The integration of heaven and earth that remains to be achieved enjoys a most glorious and profound distinction from that of the Garden. This time we enter the Lord’s presence as fully conscious beings--having eaten of the fruit of the Tree of the Knowledge of Good and Evil--free to choose acceptance of, and surrender to, the Infinite. James Wasserman is the author of several books, including The Templars and the Assassins, The Secrets of Masonic Washington, The Mystery Traditions, An Illustrated History of the Knights Templar, and The Temple of Solomon. A longtime student of the occult, the United States Constitution, and the writings of the Founding Fathers as well as a member of the Ordo Templi Orientis since 1976, he lives in New York City.